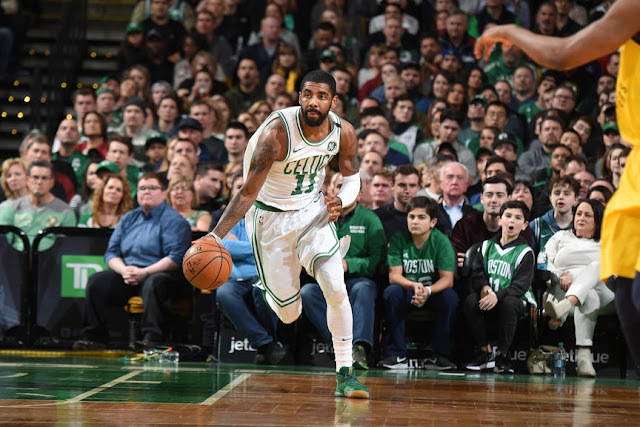 Kyrie Irving has a lot to say about the upcoming season, and that's not the only thing on his mind. He's got loads of thoughts on why the team has been playing so lackadaisically in preseason games, and how they envision positions and style of play in the coming season, which he broke down for a group of reporters in a recent media scrum at an open Boston Celtics practice. He also talks on his time in Cleveland with the Cavaliers, and why he wanted a new beginning on another team (with surprising grace, I might add). Watch the video above for all these nuggets and more - this clip is loaded with gems, and worth the view.